This is the fourth blog in a series by our fantastic Youth Ambassadors in New York for this year’s United Nations General Assembly – where world leaders just agreed on a set of new Global Goals. Phil Reed is our Youth Ambassador in the UK and is writing about why it’s so important to achieve #GlobalGoal number 2: Zero Hunger. I am going to be honest with you, nutrition is something that keeps me awake at night. It’s not because I am trying some new fad diet where you must only eat hopping from foot to foot, it keeps me awake because worldwide there are nearly 800 million people who do not have enough to eat to live active and healthy lives. This lack of healthy food has a tremendous impact on people’s prospects and is the reason I am here in New York to campaign – to ensure that the Global Goals which include the promise to end hunger by 2030, are known to everyone. 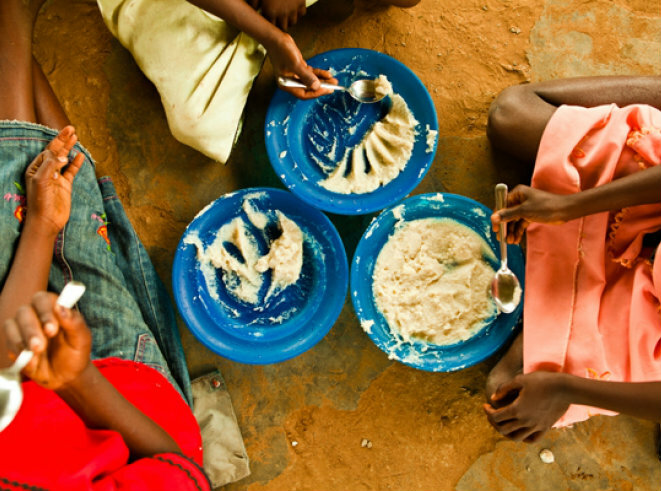 Under-nutrition is the biggest single underlying cause of child mortality across the world. In 2013, it accounted for 45% (3.1 million) deaths in children under the age of 5. But this lack of nutrition also affects a child’s potential. Imagine the course of your life being decided by events beyond your control. Within the first thousand days of your existence, your potential has been shaped by the situation you have been born into. Insufficient nutrition at a young age scars a person for life. They fare worse at school and later in their jobs, are far more likely to fall sick and as a cruel consequence, their children are likely to suffer a similar fate. The world has made tremendous steps since the end of the last century to reduce the numbers of those affected by malnutrition, due in part to an increased commitment within the Millennium Development Goals to halve extreme poverty and hunger by 2015. Other efforts such as the Nutrition for Growth summit and Enough Food If campaign helped push these issues to the top of the political agenda. However, if we are to eradicate hunger completely we have to keep the pressure on our leaders to continue to tackle these problems. We have to look beyond what has been done before and use new, innovative approaches to tackle these issues. Last Friday I had the incredible honour of being on stage with Malala at the opening of the Sustainable Development Conference while she called for global action from world leaders. On Saturday night my fellow Youth Ambassadors and I attended the Global Citizen concert to tell 60,000 people why these goals are so vital for the world and why everyone needs to know about them. You can help me by sharing this post, telling you family and friends about the goals and why they matter! If you want to help us make sure that no one goes to bed hungry, join us and stand as ONE today!